The economy of Bosnia and Herzegovina is recovering and small and medium-sized enterprises are driving the growth and creating jobs. 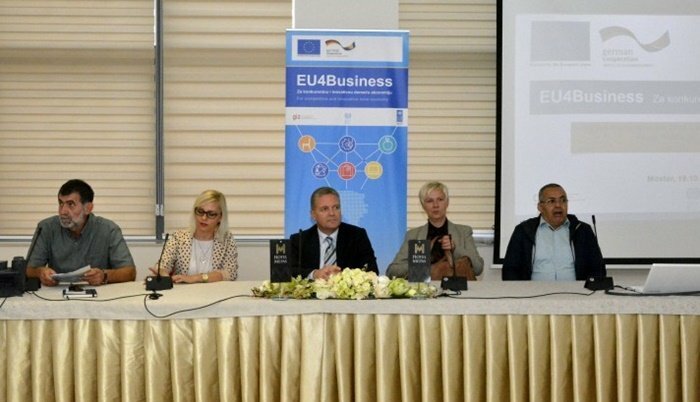 With the aim of strengthening BIH’s economy, the European Union’s EU4Business project stimulates development in the export-oriented sectors, tourism, agriculture/rural development and entrepreneurship. Overall, EUR 10 million is available in grants. Direct beneficiaries are companies, farmers and entrepreneurs, with a special focus on youth, women and vulnerable groups. The project will also improve the BIH business environment. The results will be measured with new jobs and increased exports and sales, as well as better use of the EU funds. The EU4Business project is worth EUR 16.1 million. It is jointly funded by the European Union (EUR 15 million) and the Federal Republic of Germany (EUR 1.1 million). The project is jointly implemented by GIZ, UNDP and ILO, from April 2018 to March 2022.